Happy November. How is the Fall season treating you so far? Which Fall simulcasts are you watching? You answer our question in the comments, and we’ll answer yours for the rest of this post. 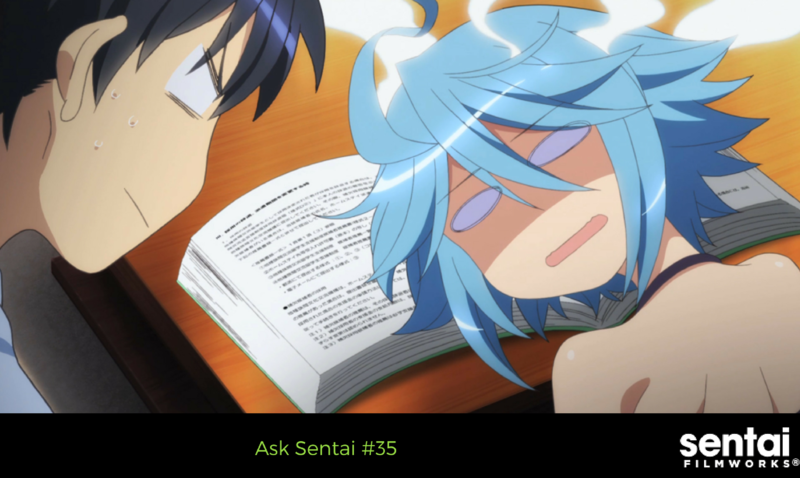 As always, send in those questions and titles you support to Sentai’s Ask.fm. Hello! Is there any possibility that you will continue blue spring ride? I am dying here waiting for it To happen. Any plans for a School-Live! dub at this point? If you can't say yet, I still want to show my interest and support. THANK YOU FOR YOUR SHOWING YOUR INTEREST AND SUPPORT. Someone mentioned to me that GATE is being released with all 20+ episodes in one set. Is that true? No idea who that "someone" is, but we haven't released home video release details for GATE yet. We can confirm, however, that we are veering towards consolidated releases for the future (case and point: My Love Story!! being changed from a 2-collection series to a 1 Collection series due to fan demand). In all likelihood, GATE should be a one set, but that's subject to change until we solicit the title. Any plans on dubbing the rest of the fate kaleid liner prisma illya series, loved the first two so much? What are the odds of both DanMachi and Monster Musume getting the Collector's treatment? I figured they weren't out yet due to the recent OVAs released in November-December but both I think are potential candidates for such treatment. They are very strong candidates, but no news yet. If you guys want one, you haz to keep telling us. Will you be showing Girls und Panzer der Film with subtitles in theaters this upcoming month? Currently, the plans are to show only the dubbed version in theaters. Casting is entirely up to the discretion of the ADR director and the availability of said talent, but we can certainly pass on suggestions like this to that department for consideration. 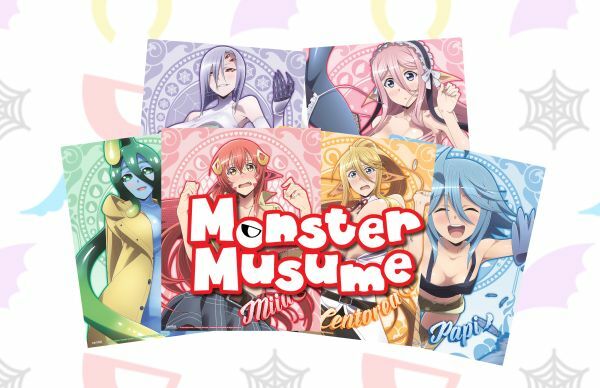 Can we please get more merchandise for Monster Musume and GATE? GAAAAAAASP! WE HAVE JUST THE THIIIIIING! As far as GATE stuff goes... ;) Soon, friends. Soon. If you plan on dubbing season 2 of Squid girl, are you gonna bring the original voice cast back or change the cast as a whole? Great suggestion. Something to look into :) It would be pretty fun, but we'll have to see. I recently noticed that Den-noh Coil isn't streaming anywhere yet? Is that going to happen? I bought the Blu-rays for myself, but I'm having a hard time convincing other people to blind buy it. You should be a good friend and let them borrow it ;) j/k. Um, since Den-noh-coil is a Maiden Japan title, we're not technically in charge of distributing it to streaming. That's not to say it will NEVER be streamed, so keep watching Section 23 news for updates. 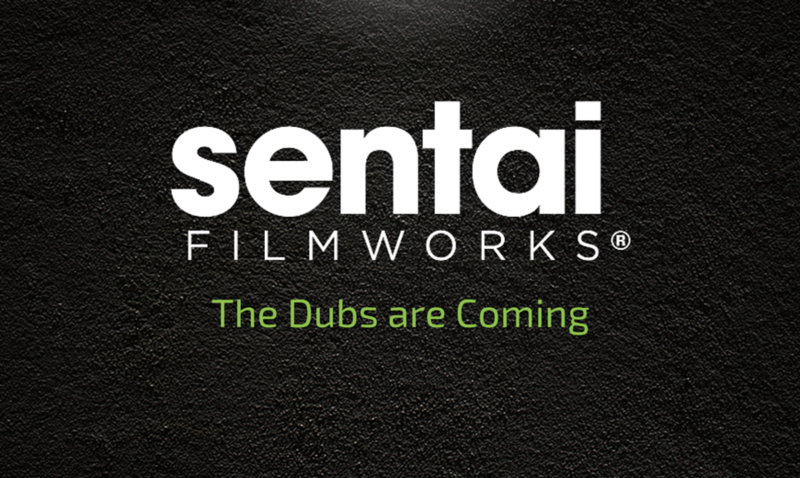 Any word on the danmachi dubbing? First, it's really cool you answer our questions (+ that I'm kinda hyped for the DanMachi release, whenever that is)! Second -- I've always been curious about the licensing process of anime. I know it can be complex, so may I have the five minute version? Keeping in mind that no two experiences are the same, of course :) Basically, all the legal stuff happens, and then we work hard to bring it to you guys. How are the dubs for Food Wars, Amagi Brilliant Park, Is It Wrong To Try To Pick Up Girls In A Dungeon?, GATE, and Ushio and Tora coming along? I'm really excited for all of them. I'm really looking forward to your upcoming release of Gatchaman Crowds Insight! Any updates on releasing the OVA episode from season 1? Unfortunately, the Gatchaman Crowds insight release does NOT include the season 1 OVA "Embrace." It's something to look into, but the upcoming release doesn't have that particular asset. That’s if for Ask Sentai this month! Also, if you have any questions in general about Japanese culture, holidays, life in Japan, etc., we have folks around the office who have spent A LOT OF TIME in Japan who can answer them. Additionally, feel free to send in questions to our directors as well. See you next month!